Pre-contention concerns over the Braves’ 2018 roster makeup seem like a lifetime ago, but once upon a time there were questions on how the offense currently sitting atop the National League East standings would find any power. The group that finished the 2017 season ranked 28th in home runs and 23rd in slugging lost Matt Kemp (19 homers), Matt Adams (19 homers between two teams) and Brandon Phillips (11 homers) plus career years from Tyler Flowers and Kurt Suzuki. Then Nick Markakis’ game-winning home run on Opening Day happened, jumpstarting an All-Star campaign in which he surpassed his 2017 home run total in 81 games. 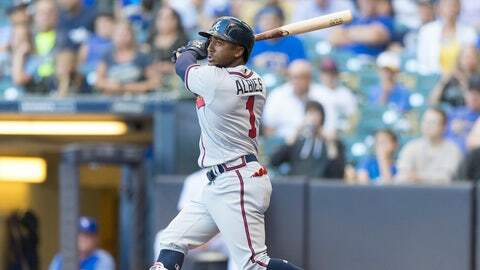 Then Ozzie Albies hit 18 homers before hearing his own name called for the National League All-Star roster. Then the team led all NL teams in runs scored and slugging through the first month of the season. Through May 15, Atlanta’s roster dismissed those preseason questions by ranking third in slugging, sixth in isolated power and eighth in home runs. 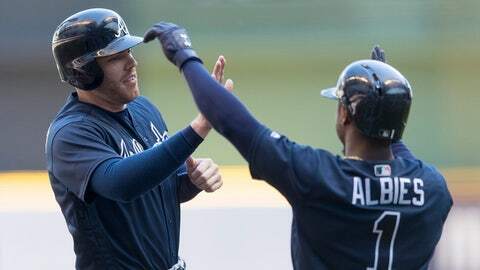 Then the power dropped off a cliff, culminating in this weekend’s trip to Milwaukee where Atlanta’s hitters did not manage a single home run in a four-game series. That preseason question mark is back. Braves hitters rank 25th in homers since that mid-May cutoff, hitting 44 in 48 games and posting a 25-23 record over that stretch. 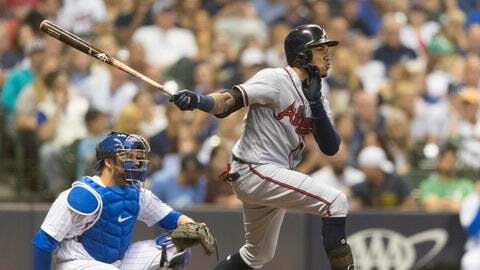 The good news for Atlanta is that its extra-base onslaught continues even when baseballs are staying in the yard. Over the same span that the Braves have nosedived in the home-run department, Braves hitters rank second in doubles and ninth in triples, buoying the slugging percentage to middle-of-the-pack power production. The roster's influx of speed and athletecism is paying obvious dividends — not to mention the value added by ranking fifth in defensive runs saved. In aggregate, this is still a high-scoring, opportunistic and valuable group. But hitting six percent below league average since May 16 is not the road to success for a team going through well-documented pitching concerns. Something will probably need to give after the break. Carter Stewart’s right wrist ailment led Atlanta’s front office down an interesting path this week. Post-draft medicals left the Braves uncomfortable with offering anything close to slot value, leading the talented 6-foot-6 right-hander down the college route and leaving the first draft class of Alex Anthopoulos’ time in Atlanta without its crown jewel. It’s the first time since 2010 the Braves have not added a first-round pick to the farm system and the first time since Chad Hutchinson elected to play college football in 1995 that the franchise has not inked its first-round selection. The Braves will receive the No. 9 overall pick in the 2019 draft in addition to their original first-round pick based on this season’s record. The episode presents myriad challenges for the franchise. A scouting staff with a long track record of selecting high-end prep arms identified Stewart as their top choice — a potential front-end starter with a plus fastball and a power curve featuring top-of-the-scale spin rate. Losing Stewart could prove costly if he develops into the pitcher scouting director Brian Bridges described on draft night. The signing snafu also adds to the year’s laundry list of hurdles in amateur talent acquisition. Following the MLB investigation into the previous regime, the Braves were already stripped of their 2018 third-round pick (and its slot value), lost double-digit international signees and could not contend for top international amateurs during this July 2 signing period. Throw in the fact that the team is now contending – and not adding significant pieces to an impressive farm system through trade — and the ability to replenish the organization’s talent pool falls to the scouting department’s remaining picks like college standouts Greyson Jenista and Tristan Beck. It’s not a “lost year” of talent acquisition, but it is certainly the organization’s quietest in years. The extra 2019 pick recoups the asset and puts Anthopoulos’ long-term plan in the spotlight. The front office could choose to use the selection and its accompanying slot bonus to aim for a monster 2019 draft haul, or it could forfeit its original 2019 first-rounder chasing a top-tier free agent this offseason. With top names like Bryce Harper, Josh Donaldson, Clayton Kershaw and Patrick Corbin presumably being attached to qualifying offers — meaning any other team that signs them forfeits their first-round pick, though if Manny Machado gets traded in the coming weeks he will not be attached to a qualifying offer since he did not spend an entire season on one roster — Carter Stewart’s compensation could free up the Braves to pursue top names without bottoming out the 2019 draft haul. Speaking of Manny Machado, one of the top players in baseball is publicly on the trading block — and the Orioles are trying to spark a bidding war, albeit seven-plus months too late. The Braves are reportedly one of seven teams who have shown interest and made offers to Baltimore for Machado’s stretch-run services, according to Eduardo A. Encina of the Baltimore Sun. The Dodgers and Brewers are still widely viewed as the two favorites to land the former No. 3 overall draft pick. The essentials for any team entering the Machado sweepstakes: The 26-year-old pending free agent will provide an upgrade at a premium position for three months plus playoffs and his lack of remaining club control has driven his price tag down. Since the start of the 2013 season, Machado ranks 10th in wins above replacement among position players and he’s hitting 20 percent above league average over that span. He grades out significantly better at third base, but he’s played shortstop all season in Baltimore and reportedly wants to stick at the position in the future. In 2018, he owns a .310/.380/.557 slash line with a 3.1 WAR, a middle-of-the-order righty bat that boosts any lineup. From the Braves’ perspective, mortgaging the farm for rental pieces makes little sense. The organization’s window is open and should remain so for a long time if the young pieces like Ronald Acuña Jr., Ozzie Albies and Mike Soroka prove to be the tip of the iceberg for a loaded minor-league system. Offloading a haul of young pieces for big-league talent should mean the proven commodity comes equipped with club control. However, reports do not indicate that the Orioles are fielding overwhelming offers for Machado. 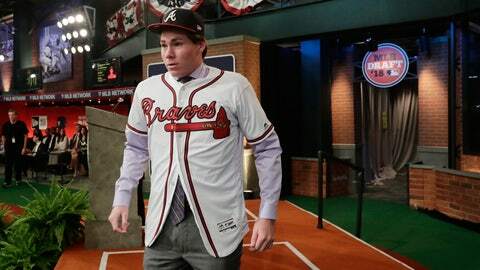 FOX Sports and MLB Network insider Jon Morosi reported that the Braves’ would not agree to sending young arms Max Fried and Ian Anderson in return, but that asking price should be in range for Atlanta. Trading Fried and Anderson, two of the better pitching prospects in baseball, would mean dealing from a position of extreme organizational depth for a substantial upgrade during a playoff push. Johan Camargo is turning in another standout season at third base and Dansby Swanson is a much better defensive option at shortstop, but Machado is an established star who would push Atlanta’s offense to another level and give manager Brian Snitker more mix-and-match options off his bench. Even if Atlanta’s needs center on pitching as the deadline approaches, adding Machado would not prevent the team from finding pitching help. Every asset comes with a price. Manny Machado is an asset, and it’s up to Atlanta’s front office to figure out the price they’d be willing to pay for his short-term services. Even if the answer is no (and the Braves are not considered the frontrunners), there are far worse prospective trade proposals rattling around this time of year — shout out to anyone who would offer Kolby Allard and Touki Toussaint for Mike Moustakas — than the Braves finding two arms they’d be willing to part with to land Manny Machado.